The photographer you choose for your car, truck or motorcycle is an important decision. You do not want to end up with a just bunch of pictures of your hotrod. My work had been featured in national magazines such as Hot Rod and Truckin’. You want images that show the details of your car, capture its lines, reflect the time and effort it took to create it – and the care it takes to keep it looking its very best. I shoot my automotive shoots both and location and in my studio. The studio gives a lot of more control options, and of course the advantage of not having to worry about the weather. 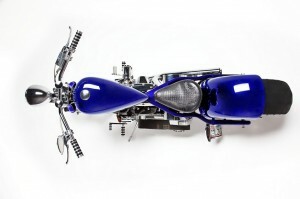 If you own a motorcycle or an automobile, shooting in the studio is a great solution. Classic cars and hotrods make for great coffee table books. Exotic cars and custom motorcycles make great posters. We can also provide digital images for submission to your favorite car, hotrod, truck or motorcycle magazine. A typical shoot will to 1-4 hours to capture all the details. These images are also great for insurance purposes to document the quality and options your car or motorcycle has in photographs. Some prefer to have a model, girlfriend or wife pose with their car or motorcycle to create images like your favorite motor sport publication. 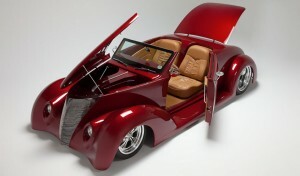 I can arrange for a model to photograph if you would like one to pose with your hotrod or truck. We provide prints, posters, digital images and custom books to allow you to capture your vehicle the way that you want. View some automobile and motorcycle sample photographs here. You have seen autos in your favorite car, lowrider and tuner magazines. If you saw many of them on the street you would be surprised at how they just don’t look quite the same. Not something you can put your finger on, but something. We can retouch your photography from minor corrections like removing a paint chip to the full polish. We will do as much or as little as you want. These are your pictures and we will work with you to make them everything you want. We will give advice, but you are the boss.